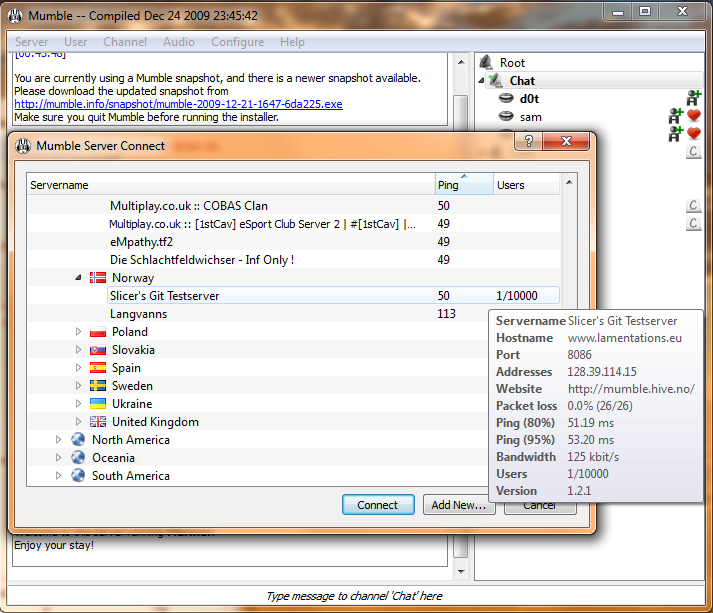 Mumble 1.2.1, the successor of 1.2.0 and has been released on 07.01.2010. The primary focus of this release was to improve the performance of the new CELT codec under packet loss, but we also worked hard to improve the usability and added some nice new features. The list can be found below. 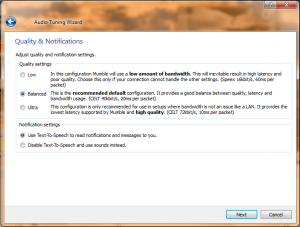 The audio wizard received a new page which contains codec quality and latency settings as well as Text-To-Speech to Sound pack switching. 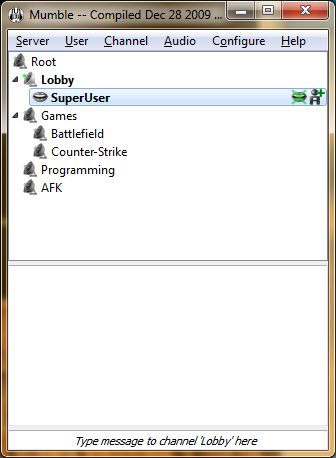 We hope this will make it easier for users to individualize their settings to get the best experience out of Mumble. 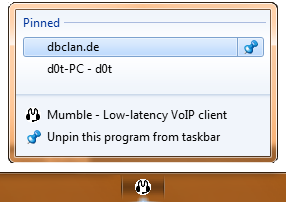 As the new taskbar in Windows 7 got some nice, new functionality took advantage of that and implement jumplist support in Mumble. This will enable you to connect to your favorite servers quicker as an alternative to the full-blown server browser. In order to increase your usable screen real estate we improved the channel tree by unifying the name and flag columns. Besides your muted and deafened status the new release will, by default, also display your current speaking status in the tray icon. That way you can easily see whether you are connected at all, talking or whispering. This page was last edited on 5 November 2014, at 19:39.